Listing courtesy of Wright Living Real Estate, LLC. Motivated Seller transferred out of state. Priced below bank appraisal. New: roof, Dual AC units, driveway, several appliances and 70K Prof Landscape. Escape down 1300 ft. shaded driveway to acreage retreat in sought after Pebble Creek Est. Main floor includes 862 sq.ft. gorgeous tiered stamped entertaining patio. Executive office/library with 12ft built-in millwork. Gourmet kitchen-granite, glass front accent cabinets, double oven oiled bronze Jenn-Air Appliances. Main floor laundry with built-in millwork organizer. Oversize Upstairs bedrooms (4) with (2) Jack-Jill baths, walk-in closets. 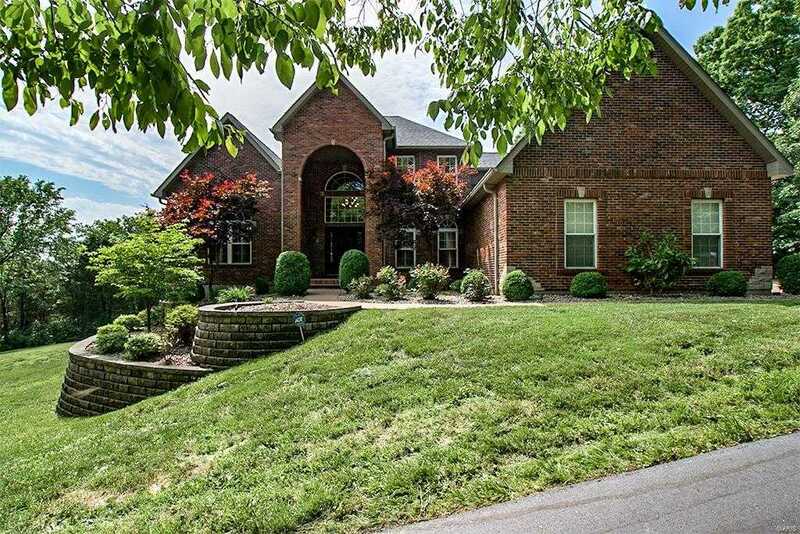 Walkout basement (9ft ceiling), includes crown molding complete with bedroom suite, full bath, family room, workout room. 3 car oversized garage, zoned HVAC, invisible pet fence, UV treated windows, colonial shutters, alarm, central vacuum system, intercom. Entertaining Great Room with cozy gas fireplace & wet bar. Please, send me more information on this property: MLS# 18039633 – $545,000 – 10629 Saint Andrews, Festus, MO 63028. I would like to schedule a showing appointment for this property: MLS# 18039633 – $545,000 – 10629 Saint Andrews, Festus, MO 63028.